Layers of clean details. 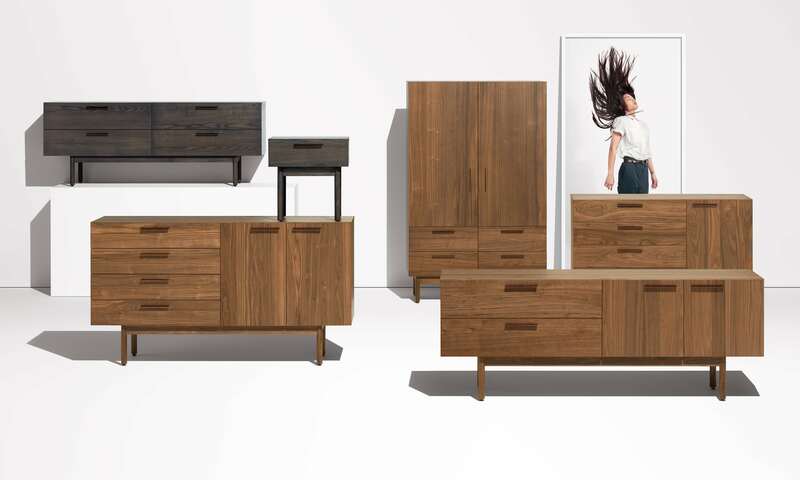 Warm wood and full grain leather pulls add storage panache and practicality to the bedroom, living room or dining room. Shop the entire Shale Collection. 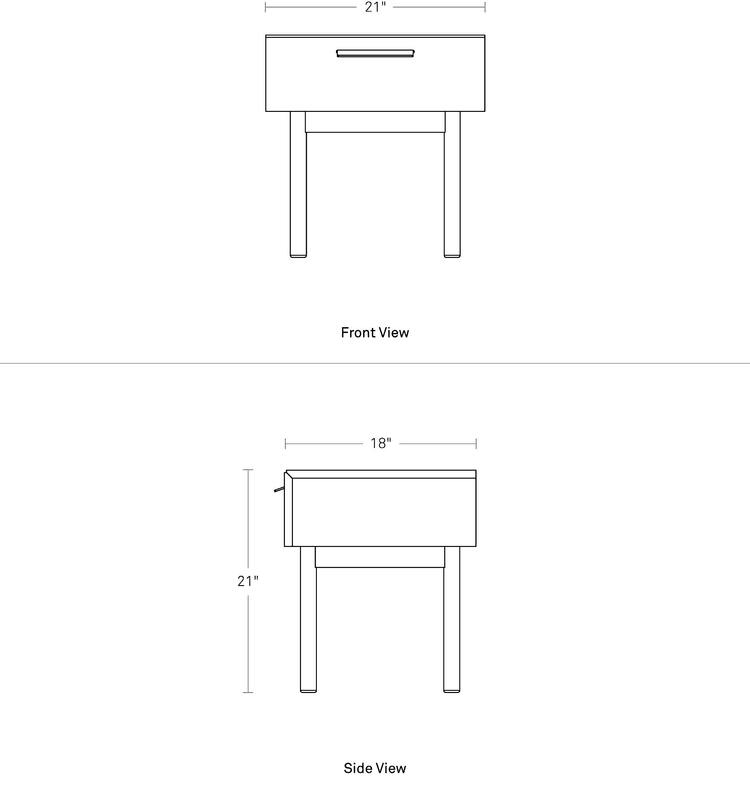 Designing casegoods is hard. Functionally they always need to be big boxes with drawers and doors. With Shale we really focused on making a few special details. We mitered the front of the top panel and the top edge of the drawers or doors so there’s just a simple, single line at the top of the cabinet. We explored a lot of options for door and drawer pulls and decided on leather as way to bring in an unusual material that was pleasing to touch. The rest was all about getting the cabinets to the right proportions and then having some fun with the asymmetry of the doors and drawers on some of the cases.